Eiko Budogu’s premium 6mm machine stitched orizashi bogu set, also known as the “Aoi Tombo”, features a new and exclusive felt material in addition to an antibacterial kote lining. This is set is a compilation of the most advanced and current bogu technology available on the market. 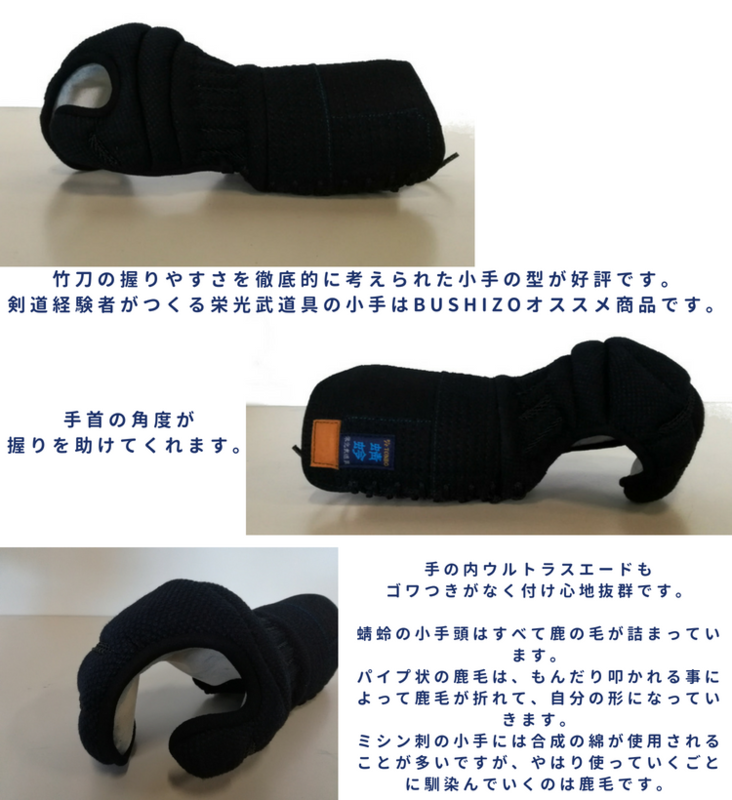 Eiko Budogu has made many improvements to our “Aoi Tombo” since it’s release, for this particular update, we’ve adjusted the shape of out kote to improve the grip as well as added an antibacterial suede lining on the innards. The kumo kazari featured on the dodai adds to our concept of sophistication and simplicity. 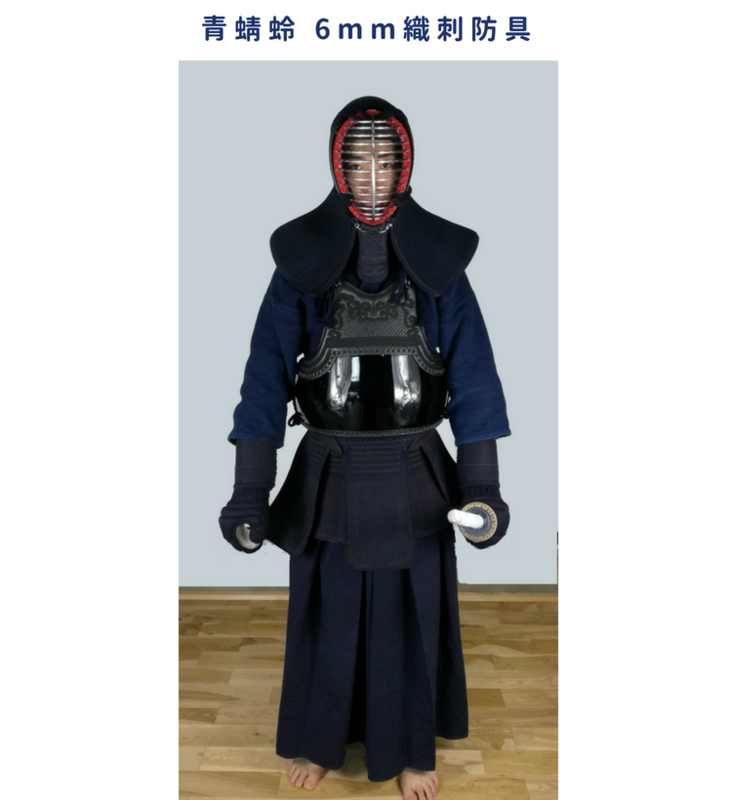 Our innovative kote was developed with the opinions of many kendo experts. We've developed a more ergonomic grip as well as a diagonal slant in the wrist area to mimic how the hand would look when holding a shinai. The innards of the kote is lined with an antibacterial suede, making it extremely comfortable and soft to the touch. Unlike many conventional kote which uses synthetic stuffings, All kote from Eiko Budogu's "Tombo" line are stuffed with genuine deer fur. As the kote is put through use, deer fur has a tendency of breaking down in a way that moulds to the shape of the user's hands. Please fill out your specifications in the "Sizing Information" section. This product will be shipped directly from the manufacturer. Please note that it may take 1 to 2 months for your order to arrive if we do not have enough inventory in stock.